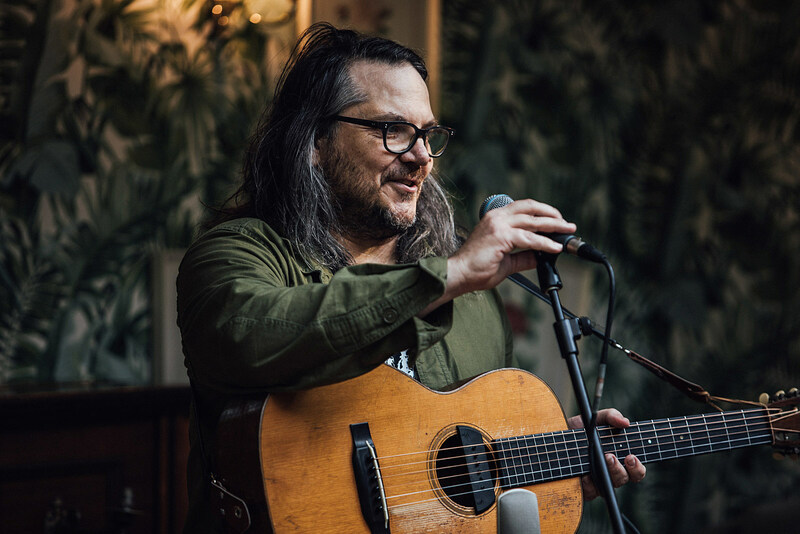 Wilco frontman Jeff Tweedy recently wrapped up a book tour supporting his new memoir LET’S GO (SO WE CAN GET BACK), and now he’s set to go on a music tour supporting his new solo album WARM (due this Friday via dBpm Records). The tour begins in Iowa City on February 27, wraps up in Indianapolis on March 21, and hits Dallas’ Majestic Theatre on March 3 (tickets), Austin’s Paramount Theatre on March 4 (tickets), and more in between. The first leg will be opened by Big Thief’s Buck Meek and the second by James Elkington. The whole tour goes on sale Friday (11/30) at 7 PM local time, but first there’s a BrooklynVegan presale starting Thursday (11/29) at 7 PM local time. Check back here Thursday for the password. UPDATE: Password HERE. All dates are listed below with ticket links. Jeff also released a new song and video from his upcoming album, “I Know What It’s Like,” which is the kind of enjoyable, relaxed Americana that he’s excelled at for decades. Check it out below. Meanwhile, not only did Jeff publish his own book this year but he’s been busy narrating other people’s audiobooks. He narrated part of the new Beastie Boys book, and he’ll be narrating the Minutemen chapter of Michael Azerrad’s upcoming Our Band Could Be Your Life audiobook. Colin Meloy (The Decemberists) is narrating the Husker Du chapter, and the other narrators are all TBA. Jeff also recently appeared on The Late Show with Stephen Colbert, where he performed “Let’s Go Rain” off his new album and chatted with Stephen about recording Bruce Springsteen’s music as a child and telling his friends it was his own. Watch those videos, alongside a stream of his new song and the list of tour dates, below.